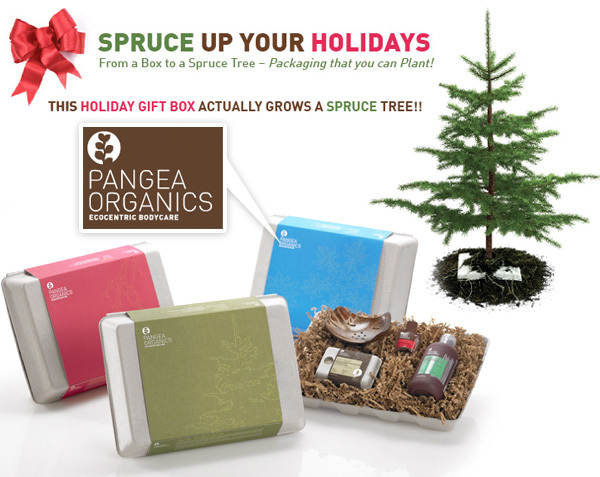 Pangea Organics always had the fun eco packaging that is plantable and turns into Basil… but for the holiday gift packs, they grow into a Spruce Tree!!! Also, they have reached out to us to offer you 50% off!!! It’s for friends & family, which apparently we all are! Instructions on how that works, and check out the gift sets on the next page… I’m still giddy over the idea of growing a spruce tree in my yard from the packaging… and the coconut soap dish! 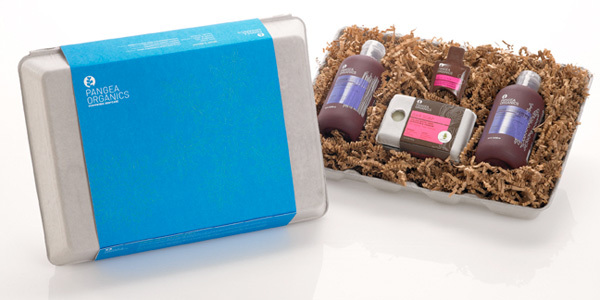 View more info on the following Holiday Gift Sets here! “Born out of the desire to do right by the planet, this year Pangea Organics has a great gift idea to let you in on the fun, too! 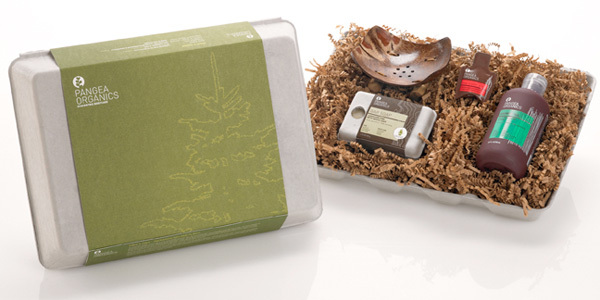 After two years in development, Pangea just released a series of holiday gift boxes that actually grow Spruce Trees. Yes, that’s right. Just like their plantable packaging that grows organic, edible sweet basil, the box itself grows a tree. Just soak the box for a day, and plant it in the earth. If everyone plants their holiday gift box and bar soap box this year, collectively, we will have planted 122,000 trees which is equivalent to not driving 30 million miles in one year! Multiply that out by 75 years, the average lifespan of a Spruce, and that’s 2 billion, 250 millions that we’re collectively offsetting! In celebration of the holidays, Pangea has invited me to extend this beautiful holiday offer to purchase Pangea products for you, your friends and your family at wholesale pricing — yup, 50% OFF — for the holidays. Give green, give sustainable, give the gift of the future…and save a little gas too. Pangea will even pick up the cost of shipping on orders over $75. Available to US customers only! The only way to take advantage of this special offer is by emailing holiday@pangeaorganics.com with Jenna in the subject line. You will then be sent a special order form that you will need to fill out and submit via email by December 15th. 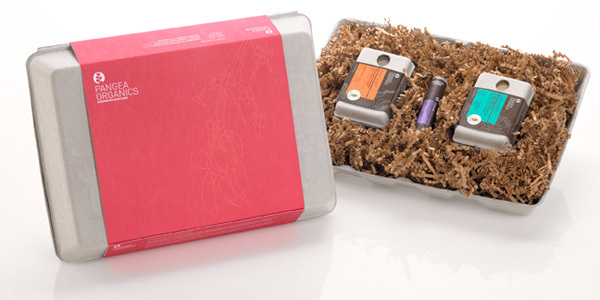 Just so you know…this offer is available via email only, and not available anywhere else, including pangeaorganics.com. Enjoy and thanks for being part of the solution. What a fun gift to both give and receive. A great idea. Sounds like a great deal, I want to get my girlfriend one of these. So I did as was instructed; emailed them, and then didn’t hear anything back from then! This was too amazing to pass up! I literally finished up my Christmas shopping with this offer (with free shipping, to boot! ), all while supporting a company whose principles I believe in. Thanks so much for passing this along! Hey! The 50% off holiday deal is available to US customers only? Or was that just the free shipping?